Hi I’m Emma, A 19 year old Student from Scotland. For most of my life I was living in the unknown, just like most people suffering with Coeliac’s Disease- with only 24% of people experiencing the condition receiving a diagnosis. I’ve always had a weak immune system, particularly deriving from when I took ill as a child, along with experiencing severe Juvenile Arthritis up until the age of 8- another form of Auto-Immune Disease affecting the joints. This caused me great struggle in moving my neck and wrists. Following my Arthritic remission, I was always the child who would be ill at school. I remember one morning I fainted in the Newsagents before school with my mum, after feeling incredibly sick all morning- of course at that age your parents are reluctant to believe you actually feel sick and think you just want a day off school. Feeling sick and dizzy have literally ended up being my main memorable feelings from childhood- fun right? This pattern continued throughout the years until about the age of 15 when things started to get worse. The Summer before I went to the Doctors properly about my symptoms was one I wouldn’t choose to relive in a hurry- I remember lying in my bed the majority of days of the week with one of those Cold Patches on my head you give to children with a temperature because I felt so constantly nauseous that I could barely stand up. My stomach was in so much pain through bloating that I hated walking anywhere because I knew that it would continue to balloon- my stomach also deeply affected my self-esteem at that age, the prime time for your body to adjust to your hormones and what-not? It’s not really what you need as a 15 year old. On top of this, I was also an extremely skinny child and, for most of my childhood, it was probably just passed off as a high metabolism, but when nothing was really changing at the point of Puberty it began to get more obvious and people would start to assume other things. Any time I’d go to the Doctor about anything they’d be concerned about my weight, and with being severely Anaemic- it didn’t help the issue. So much pressure was being put on me to ‘eat more’ which obviously put me in a state of both sadness and confusion as I knew I was eating just fine. After one Christmas when I physically couldn’t eat my Christmas dinner because I felt so ill, my mum took me to the Doctors as soon as she could because she, nor my family believed I was actually ill and when it was passed off as ‘stress from exams’ by the Doctor it put me in a really bad place, because nobody seemed to believe anything was wrong. A few months after that I just had to go back because my digestive health was deteriorating so quickly that all I could stomach for lunch was fruit and veg with the fear of having a massively sore stomach, being sick or fainting. The amount of times I had to go home from school was ridiculous. The Doctor told me he’d give me a blood test for both Chron’s Disease and Coeliac Disease- and as I researched both, things started to give me hope. My blood tests came back as 99.7% Coeliac positive, and I was referred for an Endoscopy 3 months later. That November, I was finally diagnosed with Coeliac’s Disease and a massive weight was lifted. I was stuck with a weird feeling after being diagnosed; firstly knowing something was actually going to be wrong with me for life, and secondly- what would I eat?! I remember getting so frustrated when anyone around me would even eat a biscuit, never mind actually going food shopping! It took a long while to adjust but I eventually started noticing drastic changes in my health for the better. Eating out to begin with was also a challenge, but thankfully being diagnosed surrounding the uproar of the ‘healthy eating’ trend was a godsend as more restaurants were introducing gluten-free options on their menus. 4 years on, I feel I am well adjusted to the Gluten-Free lifestyle and am mostly aware of the things I can and can’t eat, without spending hours wandering around supermarkets reading the back of packagings. Eating out can still sometimes be a challenge but I always find it handy to research the Restaurant prior to going. 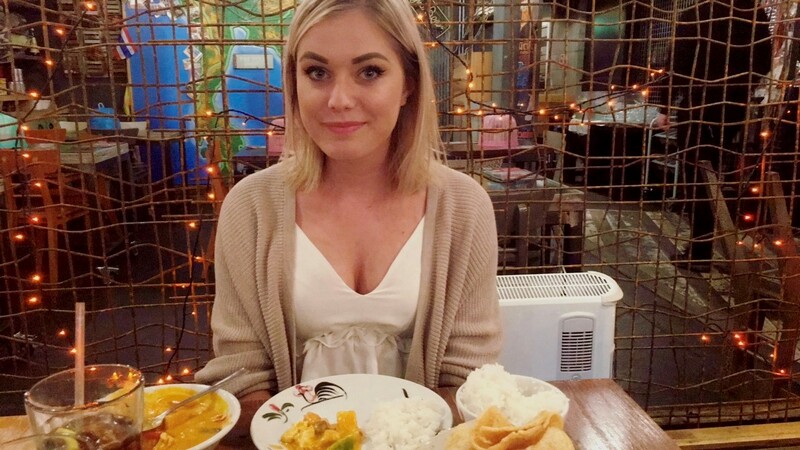 I’ve recently created a blog, The Student Coeliac, to help me with my journey and I feel it’s made me really take pride in my illness and with connecting to so many alike others, it’s making this journey so much easier!